Vom 22.–25. März 2019 findet zum zweiten Mal das „Mawjoudin Queer Film Festival“ statt. “Mawjoudin – We Exist” (wir existieren) ist eine tunesische LSBTI-Organisation, die sich Anfang 2015 gegründet hat, um für die Rechte von queeren Menschen in Tunesien zu kämpfen. Nun veranstalten sie bereits zum zweiten Mal ein queeres Filmfestival in der tunesischen Hauptstadt Tunis. Die Hirschfeld-Eddy-Stiftung, die Menschenrechtsstiftung des LSVD, unterstützt das Festival auch 2019 wieder. Guido Schäfer arbeitet ehrenamtlich für unsere Stiftung, wird vor Ort sein und hat mit den Organisator*innen gesprochen. Why did Mawjoudin decide to make the festival? 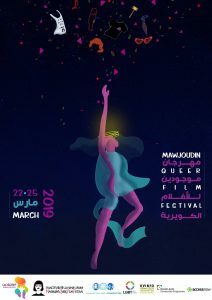 The idea of creating a queer film festival in Tunisia was at the forefront of discussion about Mawjoudin’s activities since the NGO’s creation. It is an opportunity to gather queer people but also to give more visibility to LGBTQI+ stories in a tight Tunisian context. Why is such a festival of importance? 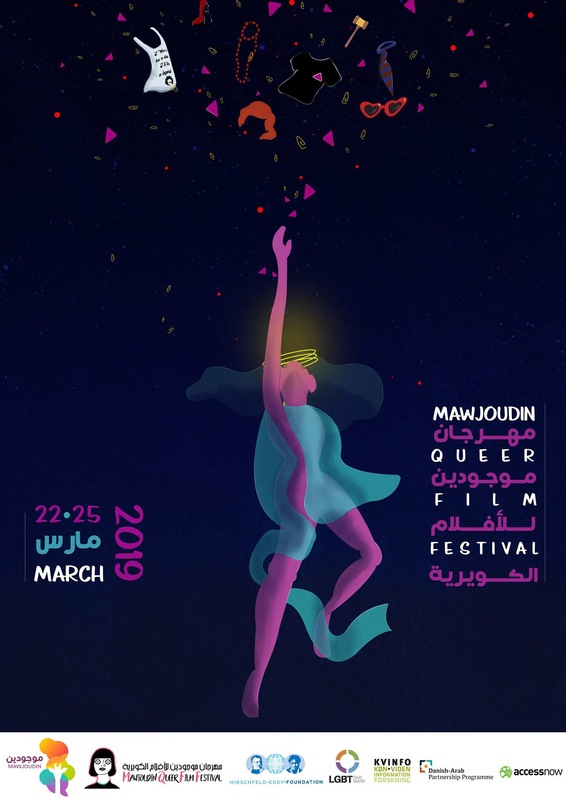 The festival opens a debate about SOGIESC* related matters within a public trying to be united to abolish liberticide laws such as article 230 of the penal code that criminalizes homosexuality in Tunisia but also aims at creating a safe space where LGBTQI+ people feel represented in. What are Mawjoudins‘expectations with regard to the second edition? The second edition will host a program diverse in activities. Through the artworks presented, we want to empower the community and celebrate queer identities but also help open a public debate about the importance of accepting differences.